I'll make my first post a double since I've been procrastinating somewhat. 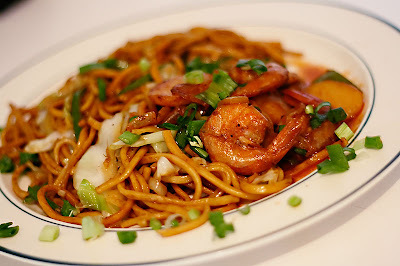 I'm making Chow Noodles and Pepper Shrimp. Fairly simple dishes that can be adapted and personalized easily. 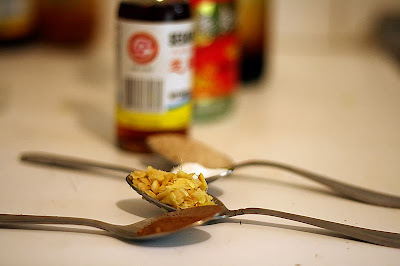 The methods and spices I use here are the basics of most Chinese stir fried cuisine... well local Chinese anyway. So i'll put the exact amounts so we can get familiar. a bad ounce could spoil your whole dish. On the upside, once you're comfortable with them, you could easily adapt them to similar dishes. 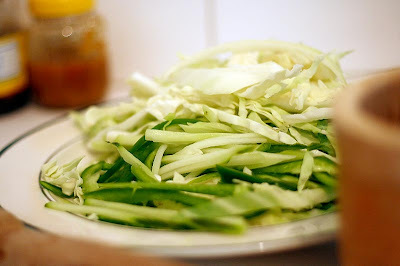 julienned christophene, cabbage and sweet pepper, or whatever you could get your hands on from the fridge at the time. 2 tbsp good quality rice wine. Try not to drink any until after. 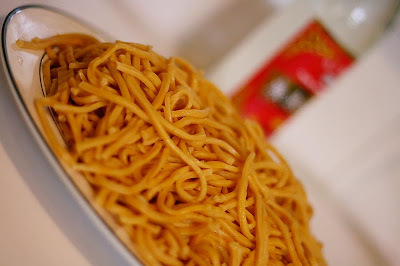 Next, turn off your smoke alarm and heat a tablespoon of cooking oil in a wok until it begins to smoke. 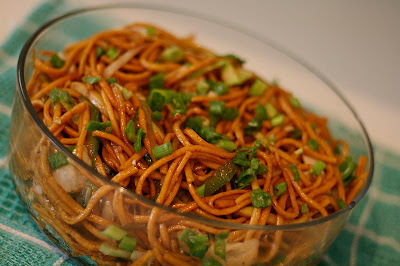 throw in the ginger and garlic and stir fry quickly until it turns just slightly brown. Add the vegetables, salt, 1/4 teaspoon five-spice powder and rice wine and stir fry that mix for about 3-5 minutes over high heat. 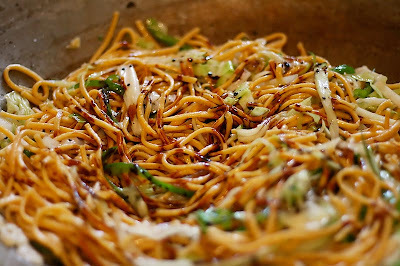 Dump the cooked noodles into the stir fried vegetables, adding the white pepper, vetsin, sugar and soy sauce. Stir fry for a couple minutes over medium heat until the soy sauce is properly distributed. 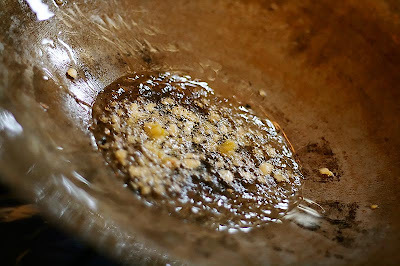 Now it's time to turn off the stove, dramatically add a few dashes of sesame oil so that any onlooker thinks you're a big time chef, stir for a bit and remove your creation from the wok. 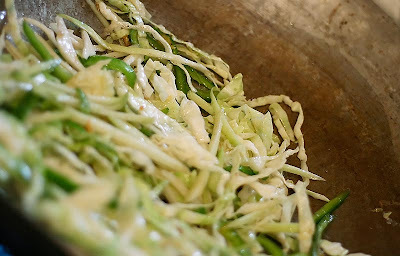 Garnish with the chopped chive for the finishing touch. 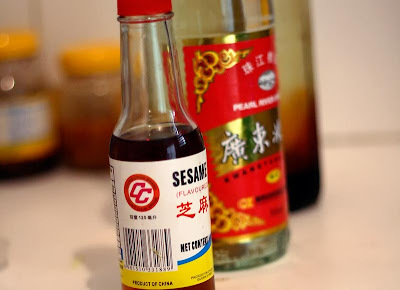 "dramatically add a few dashes of sesame oil so that any onlooker thinks you're a big time chef"
I tried this and the bottle flew out my hand. I think I need to tone down the drama before I try that again. HAHA!! dat woulda kinda spoil the effect fuh tru geisha girl. i would support a tone down.